Agape Learning & Optometry Center: Ultraviolet Light - is it good or bad? Excessive exposure to the sun can result in great pleasure and heartache. Sun rays include ultraviolet light. Did you know that we need some ultraviolet everyday? Too much or too little can be a problem. Many are shocked that any sun exposure can be good for us. They condemn the sun for a number of health problems. However moderate amounts of ultraviolet light exposure can provide many health benefits. Skin cancer and sunburn are associated with too much ultraviolet. Skin melanoma results when our DNA is damaged from the sun. Ultraviolet can accelerate aging of the skin. Unfortunately, some of the earlier sunscreen lotions with PABA were found to be cancer-causing when exposed to ultraviolet. The new lotions are more protective. Snow blindness can occur from too much ultraviolet exposure while skiing or in the snow for extended periods when the sun is out. Prolonged exposure results in inflammation of the front of the eye (cornea), pink eye (conjunctivitis), and cataracts (cloudiness of the inside eye). Sunlight plays an important role in the synthesis of vitamin D. Cholesterol in our skin is converted to pre-vitamin D. Pre-vitamin D is changed to vitamin D by the normal heat of the body. Blood carries vitamin D to the liver and kidney. Vitamin D is necessary for absorption of calcium in the intestines. Calcium is necessary for nerve function and helps prevent osteoporosis. Therefore UV radiation reduces cholesterol. Cholesterol concentration in the skin is higher than in most other organs. When the cholesterol in the skin is converted to pre-vitamin D, the cholesterol lost is replaced by cholesterol in the blood. Cholesterol moves back and forth between the skin and bloodstream. Exposure to ultraviolet also results in lower blood pressure. This is usually between 6-8mm Hg according to various studies. 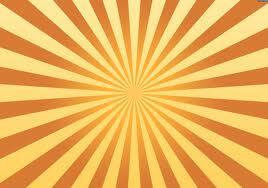 In fact, sun therapy was often used by physicians before blood pressure medications were developed. As in most things, moderation is the key with ultraviolet light exposure. Too much can cause skin cancer, cataracts and snow blindness. Our blood pressure and cholesterol numbers, however, can be improved with exposure to ultraviolet light. Enjoy the sun when you can but be careful with overexposure.